Make raising money for your non-profit organization quick, easy and FUN! 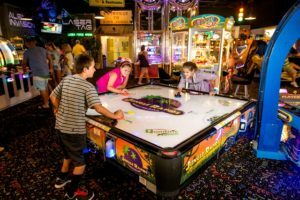 You promote your fundraising event and Jungle Rapids will offer an extraordinary package that will include your choice of (2) Activities and a $4.00 Arcade card for only $12.00 ($22.00 value). Not only will your fundraising group be treated to this great value, your organization will also receive $6.00 for every wristband sold (must sell 25 or more wristbands to be eligible for 50 percent pay out). Please contact our sales team and get your Fundraiser scheduled today.